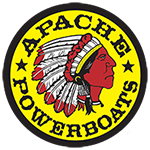 The 50’ Apache® Shaman is the largest, most powerful and most elegant Apache® ever offered. It seems supernatural in the way it transforms the harshest offshore environment into a pleasurable experience, offering a stable and secure ride through even the roughest sea conditions. It features stand-up or sit-down flexibility for an amazing 9 occupants, including an elegant cabin arrangement with a full galley, enclosed head, various entertainment options and v-berth. 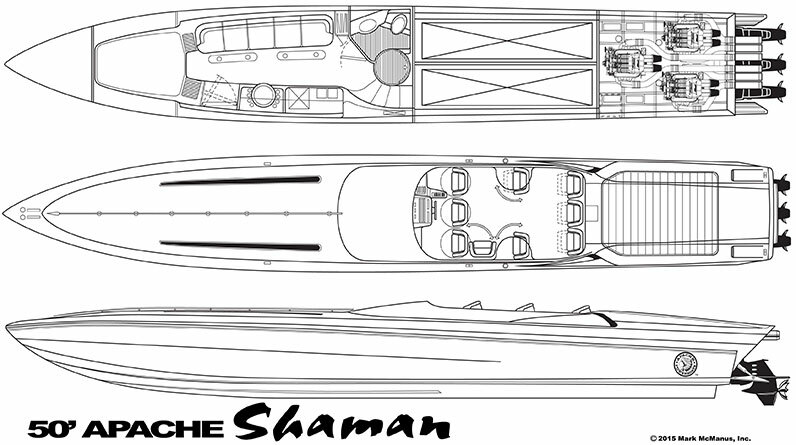 Whether you are cruising the Keys or the Mediterranean, the Shaman is the tribal leader of Apache® Powerboats and, like all McManus creations, it can’t be duplicated. Water tank (fresh) and pump; 20 gal.